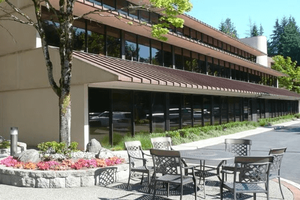 Our Campus is located on 112th Avenue NE on the west side of Interstate 405, just north of Downtown Bellevue in the Hidden Valley office park. If you are heading north on 112th, Hidden Valley will be on your right. We are located on the further north portion of the project in Building B, with access to our space through Lobby 1. There is signage throughout the park that will direct you to the proper building and lobby.